On January 27th I spoke with Scott Brown during the evening portion of the Southwest Missouri MU Extension Beef Cattle Conference organized by Patrick Davis, Andy McCorkill, and Eldon Cole. I discussed the facts about EPDs working to change a herd and how genomic testing can improve the precision and reliability of EPDs. Genomic testing is allowing us to select for traits that were previously not under selection, such as feed efficiency, bovine respiratory disease resistance, embryonic loss, and tenderness. You can download my slides from my extension website. But, in this post, I want to focus on Scott Brown's comments. For those of you who don't know Dr. Brown, he is a leading agriculture economist who has been influential in the formation of agricultural policy on the state and national level. On Tuesday night he gave a projection on the future of beef cattle economics. As we all know, beef prices are at record highs, but this is driven by historically low cattle numbers. Dr. Brown encouraged producers to plan for how they will remain profitable when the supply eventually catches up and the cattle market goes through a down cycle. What risk management strategies can we employ now? Dr. Brown pointed out, and I emphasize here, that a focus on beef quality can be an effective way to remain profitable in the long term. In the past, when economists have looked at beef demand they have analyzed beef as a whole. 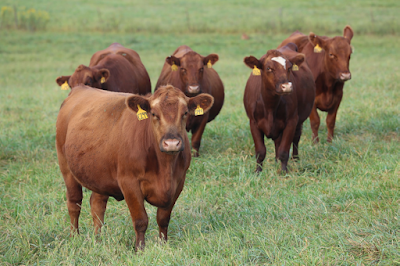 In his group's recent research they have focused on beef demand by quality grade. What they found is that consumers are more likely to substitute pork or chicken as the price of select beef increases. But, the demand for prime beef is very elastic, meaning that despite increases in price consumers will continue to purchase prime beef. Further, prime and choice beef is much more resistant to replacement with pork or chicken compared with select. Farms and ranches that produce prime and choice cattle are more likely to remain profitable even in economic downturns. Finally, I want to emphasis a connection that Brown made during his presentation. He pointed out that genomic technology now gives us the tools to more effectively breed and produce high quality cattle. The resources are now available to predictably and consistently produce cattle that will grade high choice or prime. 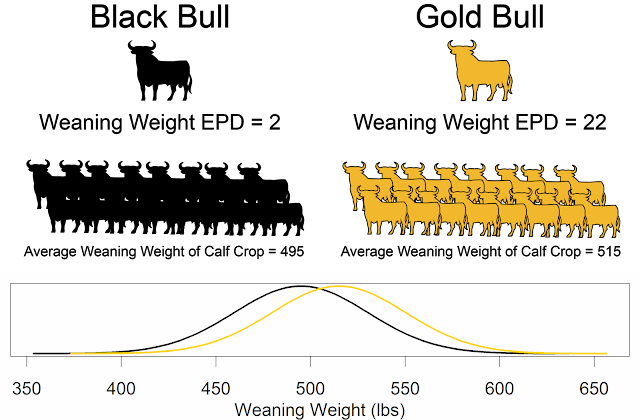 In addition to the benefits I often list for genomics (including reliable estimates for young animals, reduced purchasing risk, more reliable and intense selection of females, and identifying differences between siblings), Brown points out that selection for high quality beef is an effective strategy to remain profitable in the always uncertain economic climate. Genomics has produced the tools to make this happen. When you combine new technologies with economic incentives, you have a powerful one-two punch.